Please note that the Parish Plan is being superseded by the Neighbourhood Plan though it forms part of the Evidence Base of documents that have informed the Neighbourhood Plan. Please see the Neighbourhood Plan pages for more information. Please note re the Clarifications below that the Shop at The Garden (and the Garden itself) closed in September 2014. The Post Office is facing imminent closure and the Parish Council has called a public meeting on how to keep a Post Office in Kingsland at 7pm on Tuesday December 9th at the Coronation Hall. 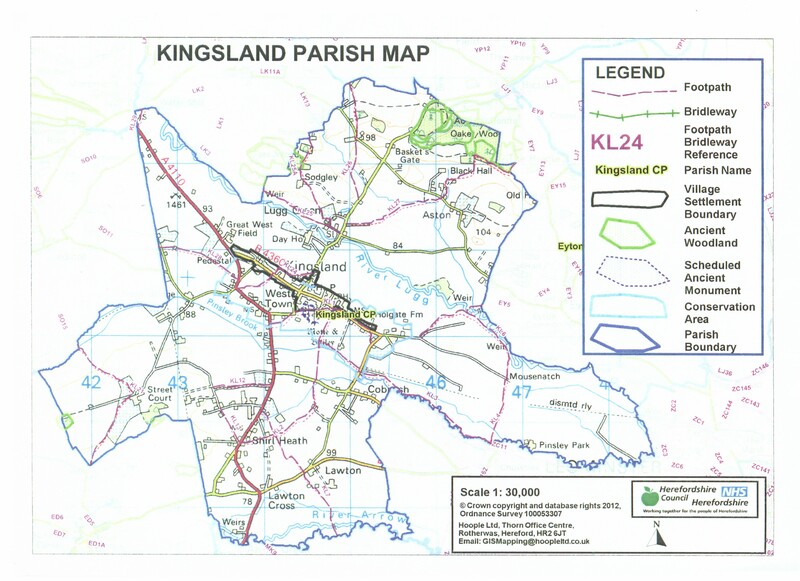 The previous Parish Plan was developed in 2005, and has now been updated to reflect the concerns and issues of 2013 and beyond. The finished product of all the excellent work is shown below via these links. Well done to all on the committee!! Parish Plans are being prepared throughout the county; see here to explore them all.